What Are the Advantages & Disadvantages of an FHA Loan? If your considering an FHA loan for your new home, you should be aware of the advantages and disadvantages associated with these loans. FHA stands for Federal Housing Administration. An FHA loan is insured by this associated, which is part of the United States Department of Housing and Urban Development – better known as simply HUD. During the Great Depression, the government enacted the National Housing Act of 1934, which created FHA and began the road to modern times, when these loans are insured by the government. 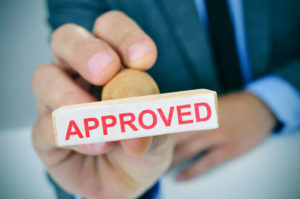 What this means for the borrower is that those who would otherwise not be approved for a mortgage because of credit or other issues are more likely to qualify, since lenders are given a lower risk. There are numerous advantages to an FHA loan, but keep in mind that these benefits are primarily geared towards those of a lower income or credit rating who would not otherwise be able to own a home of their own. It is easy to qualify for an FHA loan when compared to other mortgaging options. The only major requirements are that a person be over 18 years of age, have two years employment with the same company, and be using the loan for their primary residence – not a vacation, secondary, or rental home. If you have a minimum credit rating of 580, borrowers can get a mortgage backed by the FHA for as little as 3.5 percent down. People with credit ratings as low as 500 qualify for these loans. Anything under 580, however, requires a 10% minimum down payment. If you decide to sell your property after a certain amount of time, the new owner can take over the mortgage for you, placing it under their name. While an FHA mortgage loan could offer many the opportunity to purchase a home who would not otherwise qualify, there are some significant downsides to factor into your decision. If the property being assessed by an FHA-approved appraiser does not meet certain standards stating it is ‘livable,’ then the loan may not be granted. Alternatively, it may be allowed for the current owner of the property to make necessary renovations, or for the potential borrower to make them with funds held in a special escrow account. Due to low standards regarding who receives the mortgages, FHA loans require two insurance premium payments. The first is called an MIP, or mortgage insurance premium. This is equivalent to 1.75% of the total loan and is required upfront. The second is called the annual MIP, and is an additional amount added to your payments each month. This is a variable amount which depends on several factors, so not everyone will pay the same amount. The accumulative amount of primary bills must be less than 46% of a person’s gross income, although most lenders require it be lower than 31%. These ‘bills’ include the monthly mortgage payments, property taxes, HOA fees, mortgage and property insurance. This entry was posted in Blog and tagged Advantage of FHA Loan, Disadvantage of FHA Loan by Scott Li. Bookmark the permalink.